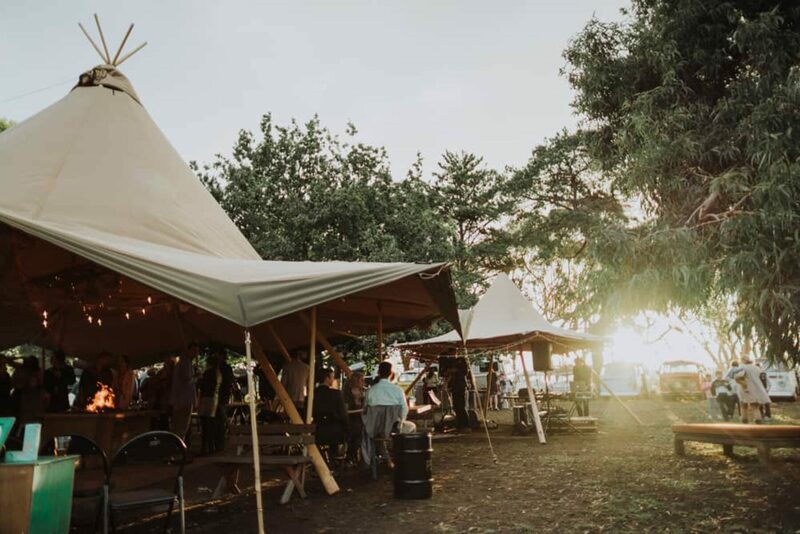 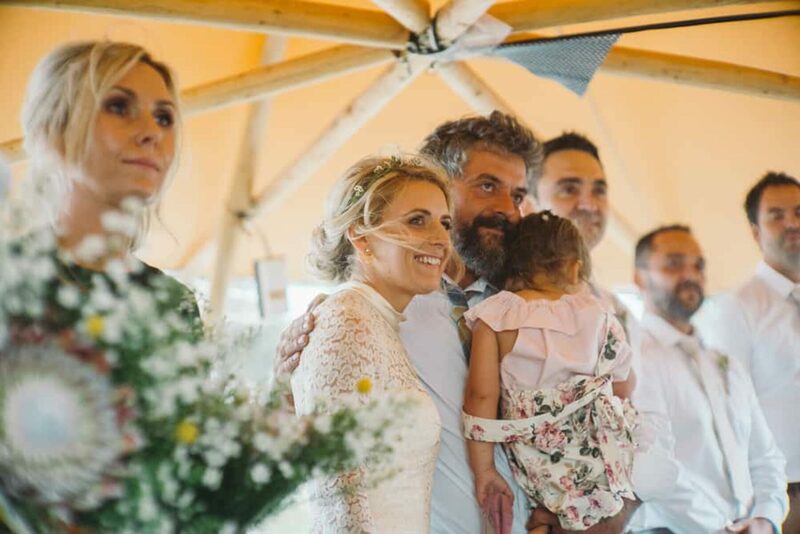 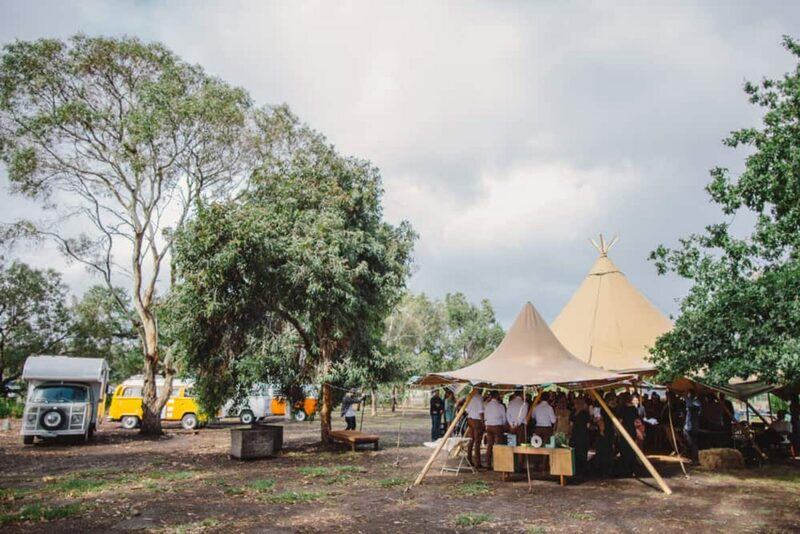 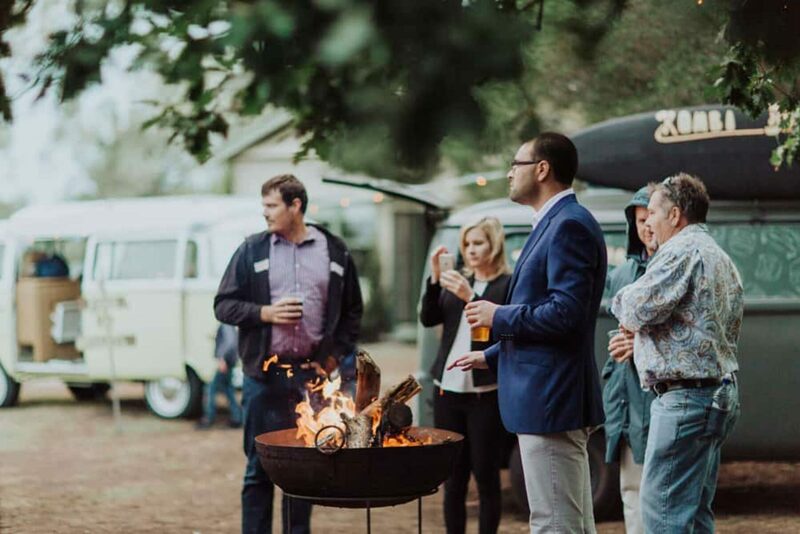 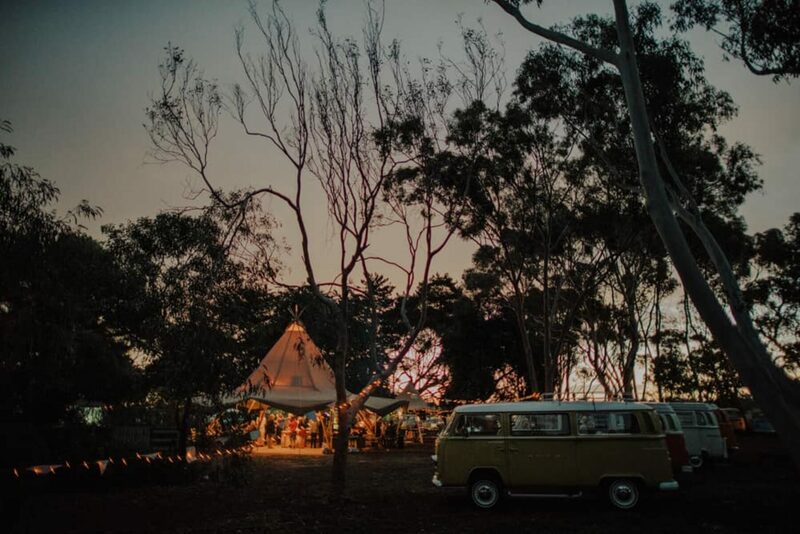 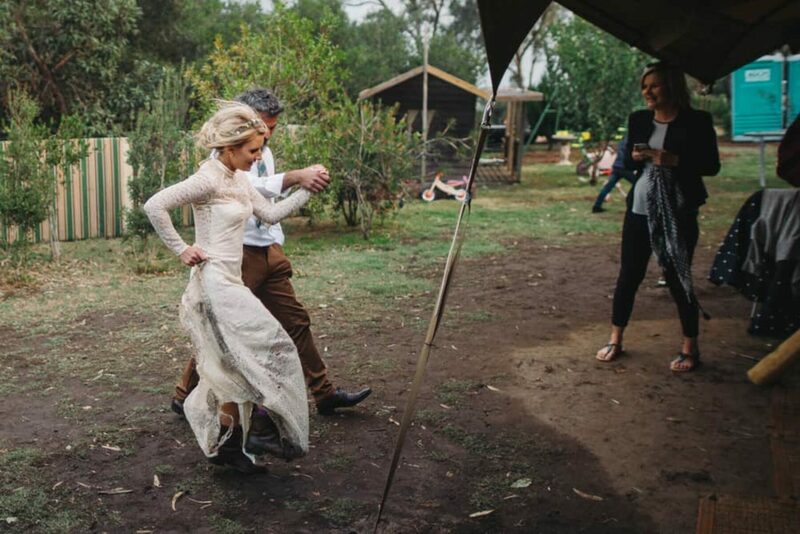 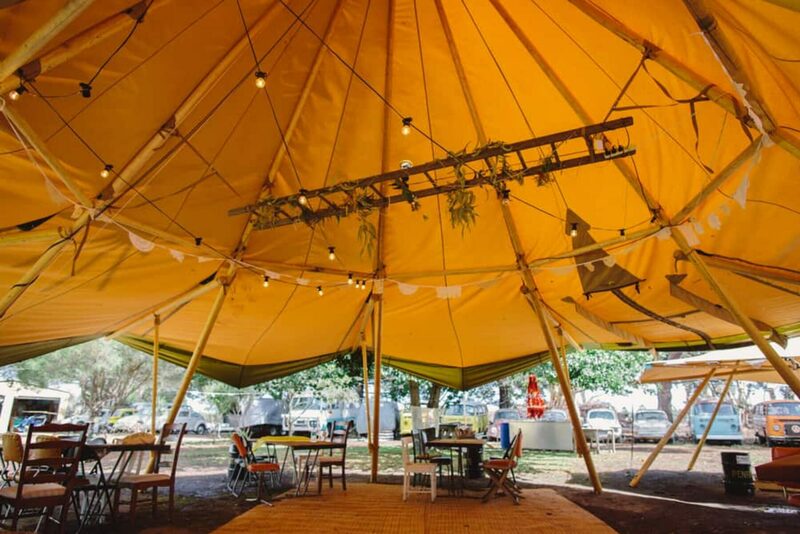 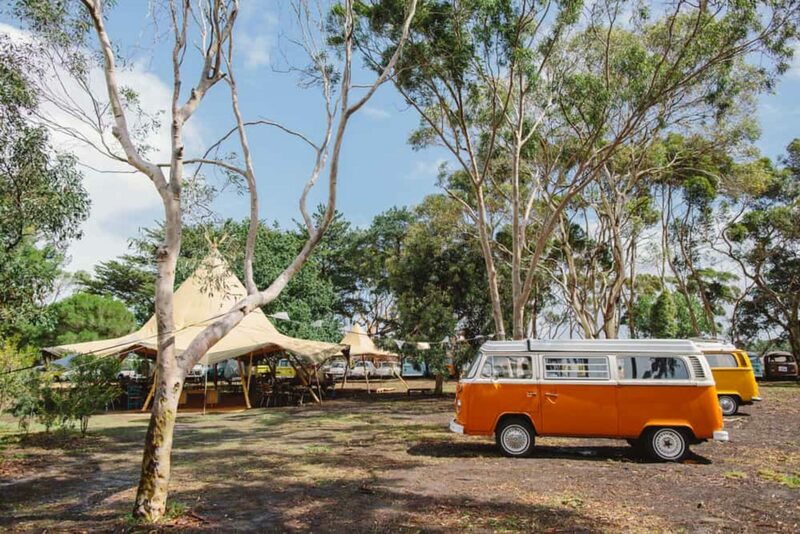 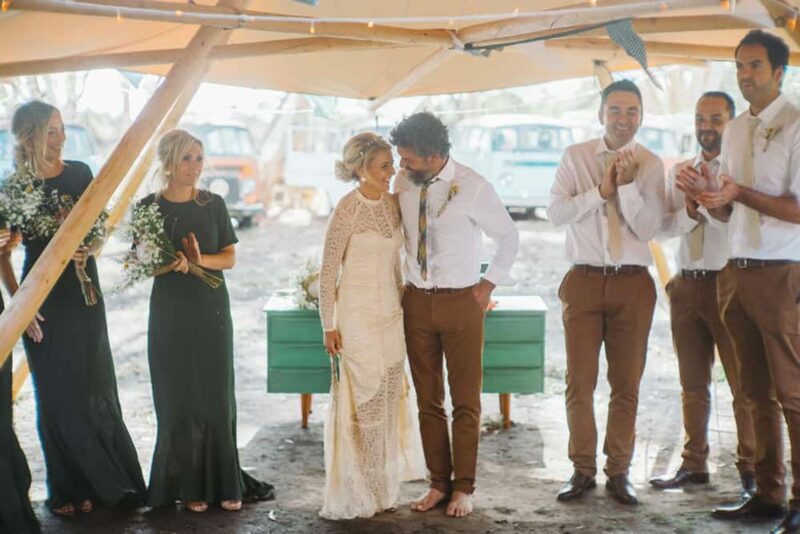 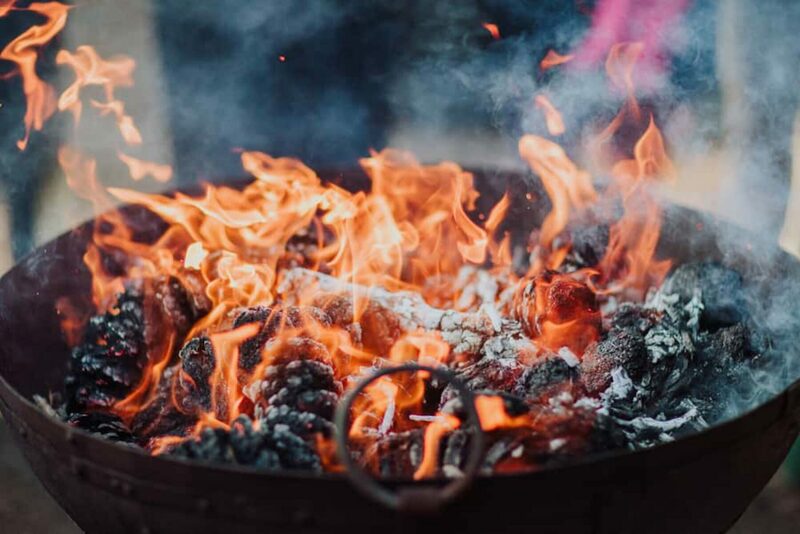 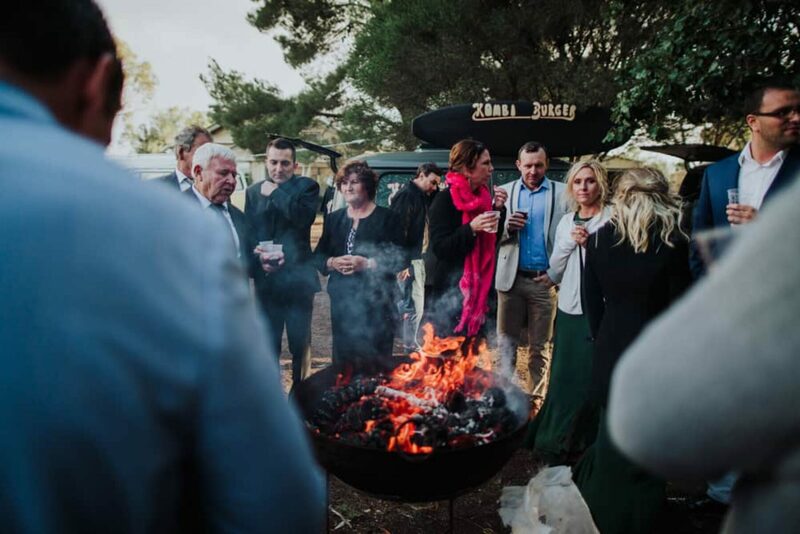 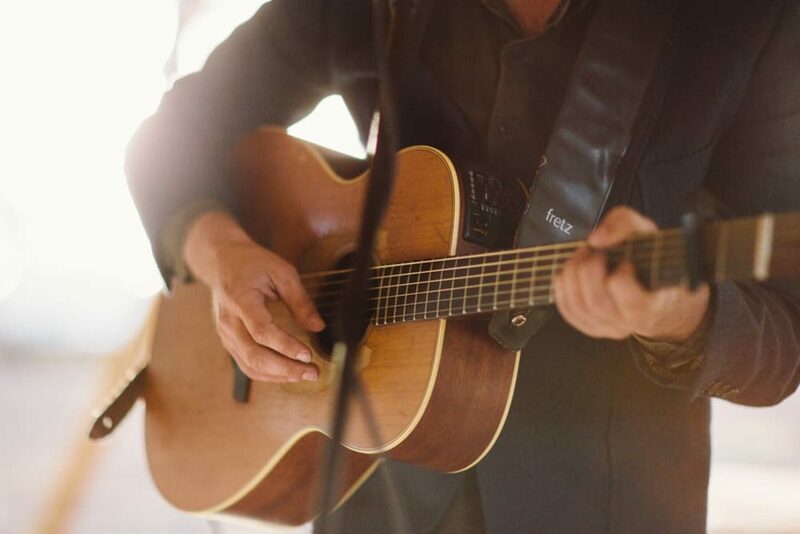 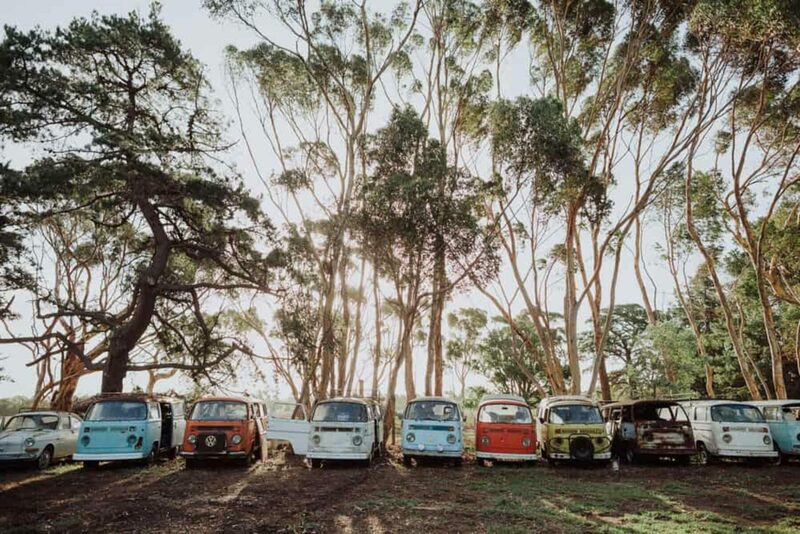 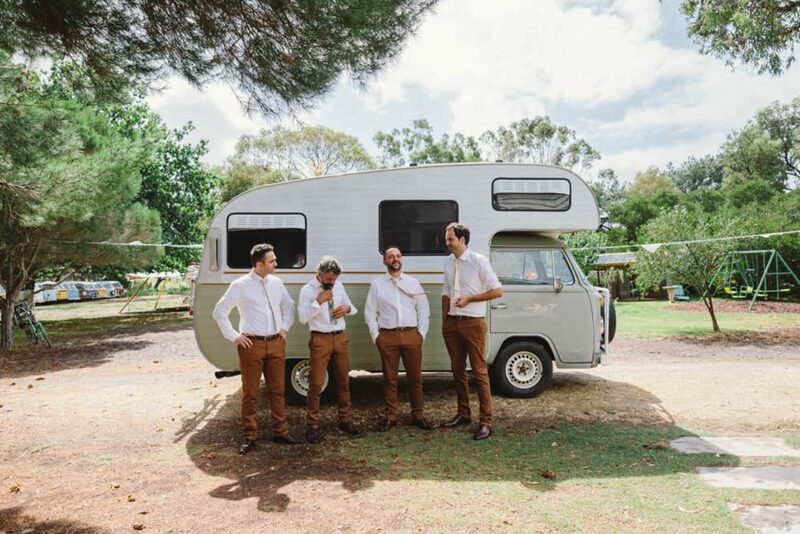 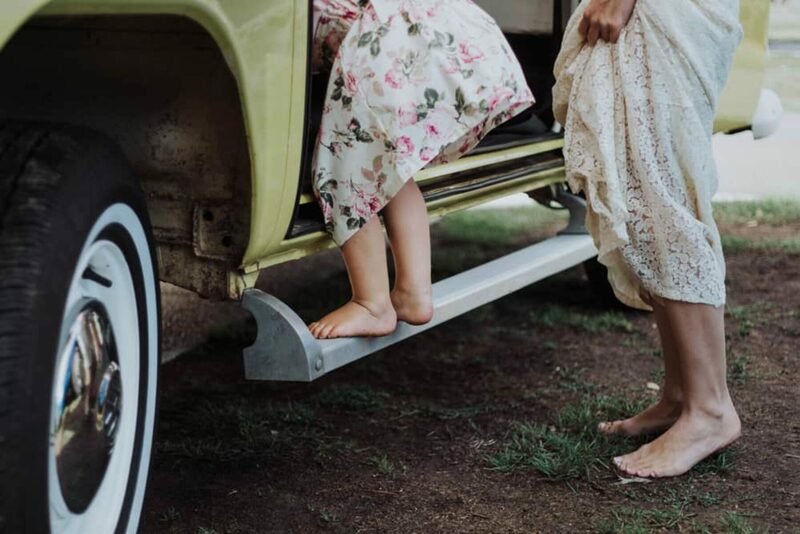 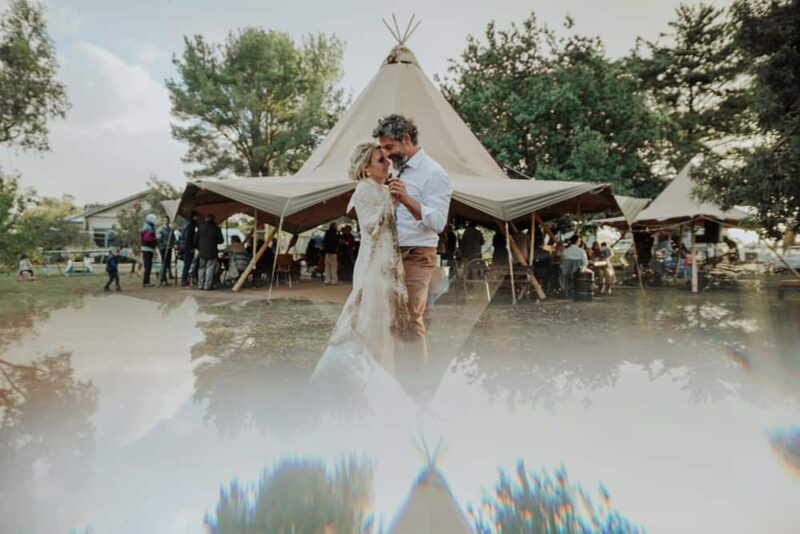 It was only fitting that Alyce and George were married at their Bellarine Peninsula property beneath a tipi with 25 Kombis as the backdrop; their life together has revolved around the vintage vans. 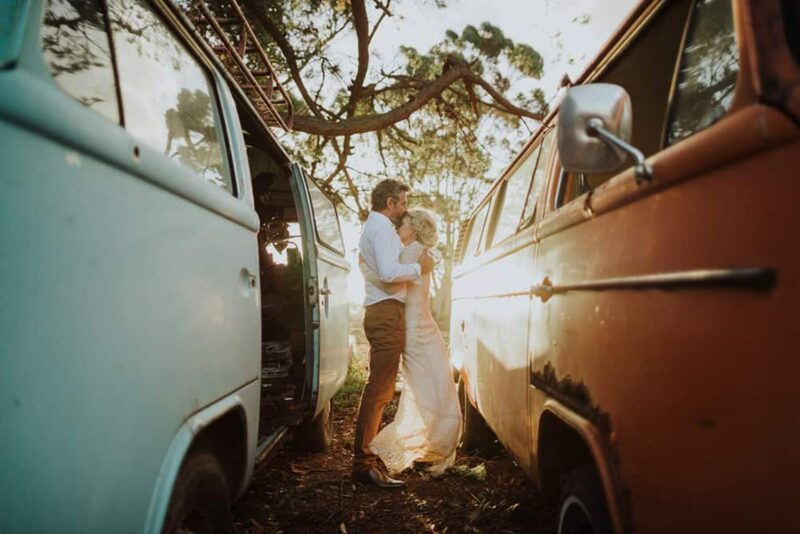 They first met when she contacted him to enquire about a Kombi he had for sale and they now run Hire A Kombi together! 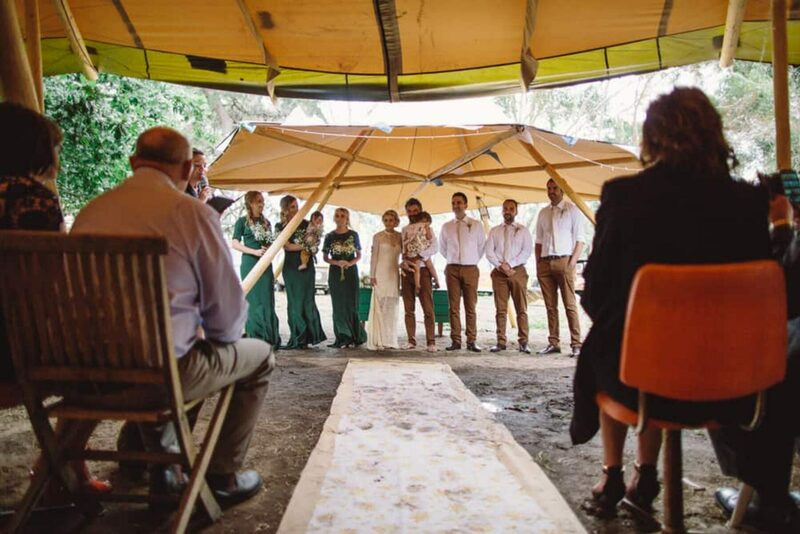 Luckily Alyce and George were into simplicity when it came to their idea of a perfect wedding, as rain and gale force winds disrupted many of their plans. 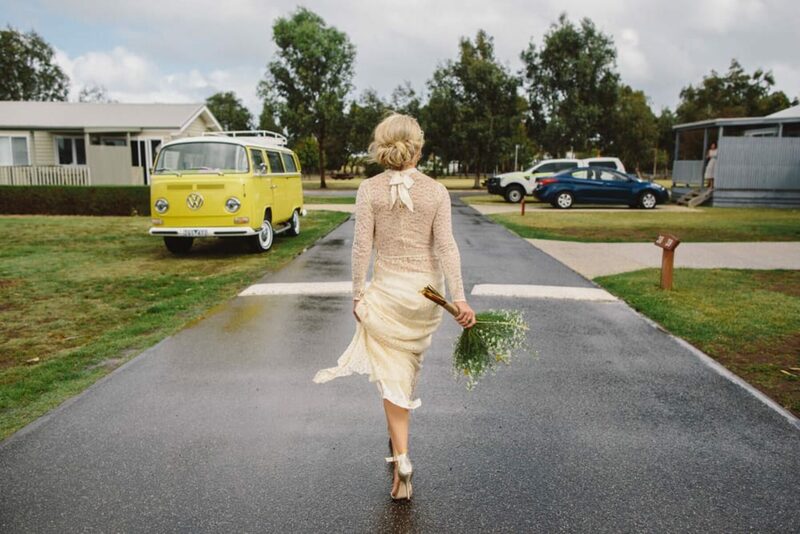 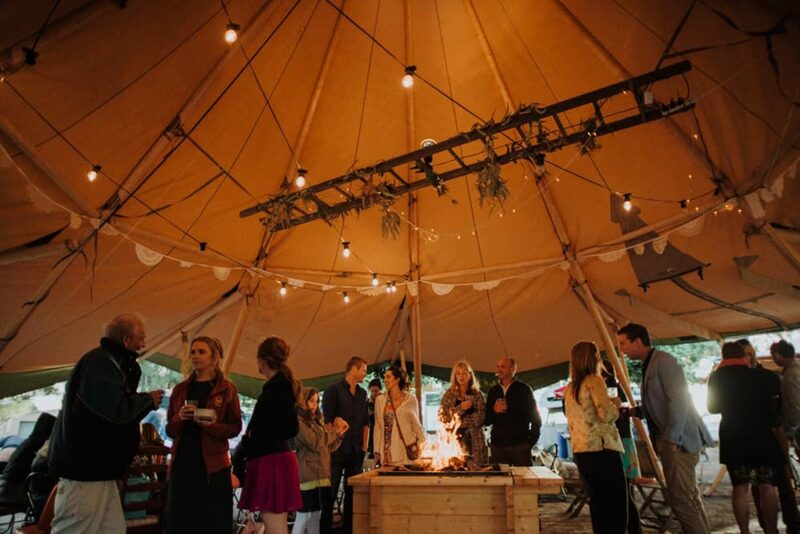 Alyce says, “I’ve always loved the simple and effective styled weddings. 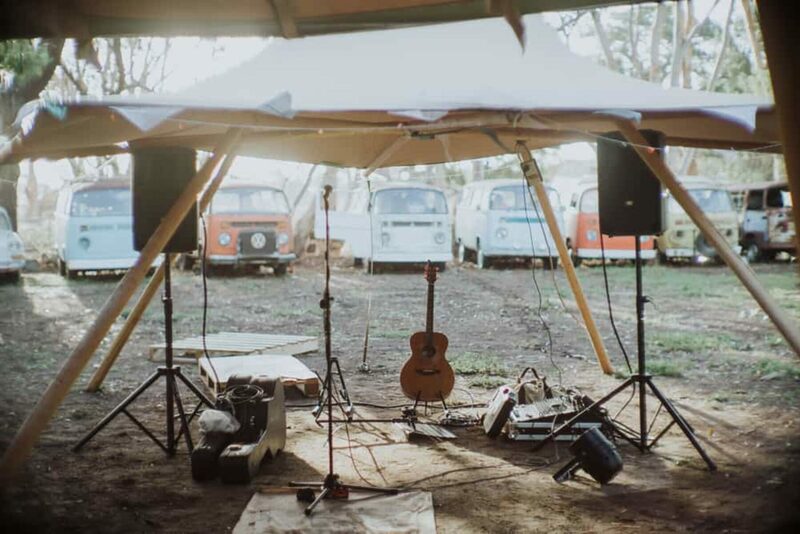 I think less is more sometimes.” Agreed! 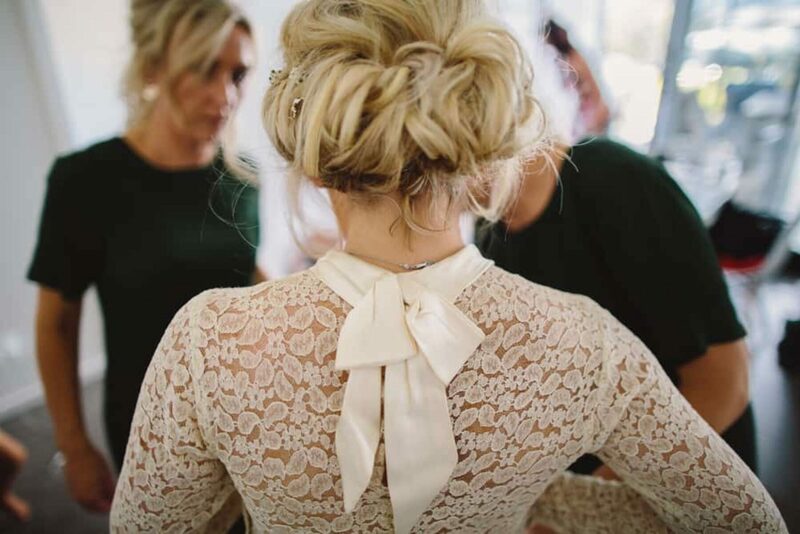 An original 1940s French lace wedding dress was an amazing find from the Mill Markets. 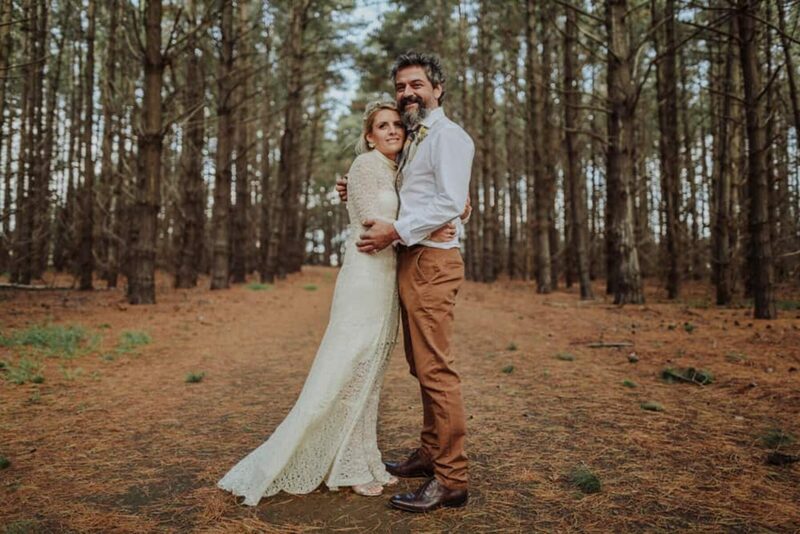 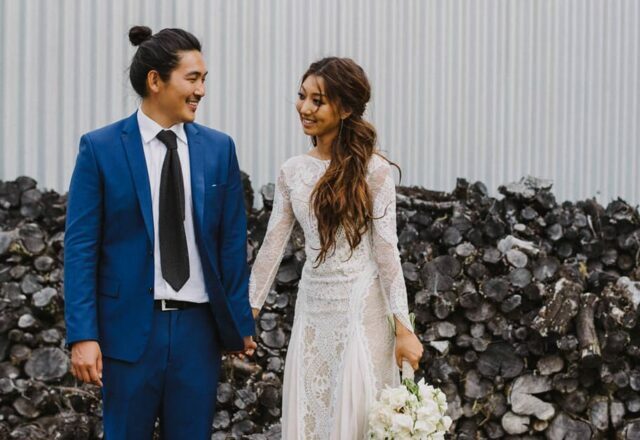 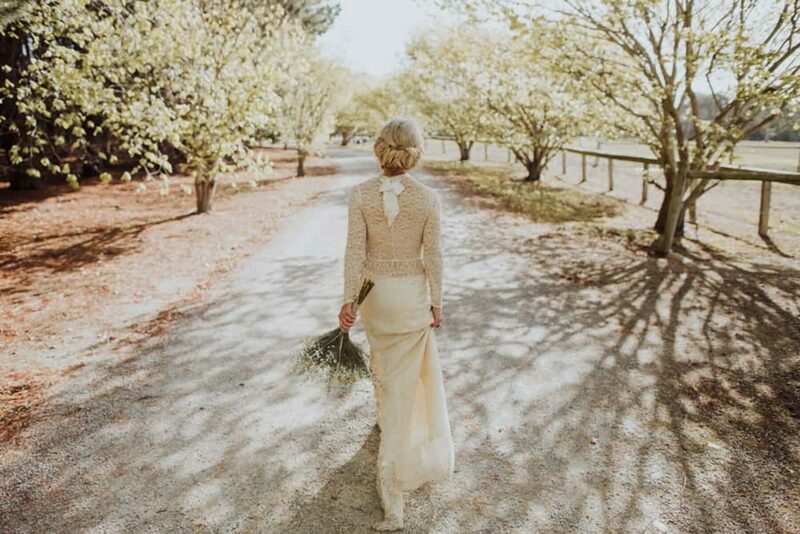 Alyce tells us “I saw it and could instantly see the beauty!” Seamstress, Tarryn Viglione altered the vintage gown, removing part of the delicate lining on the back to highlight the gorgeous lace. 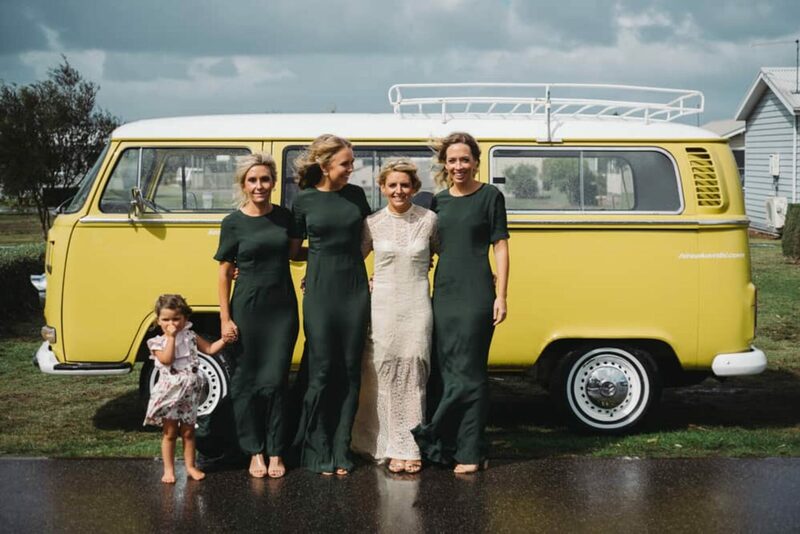 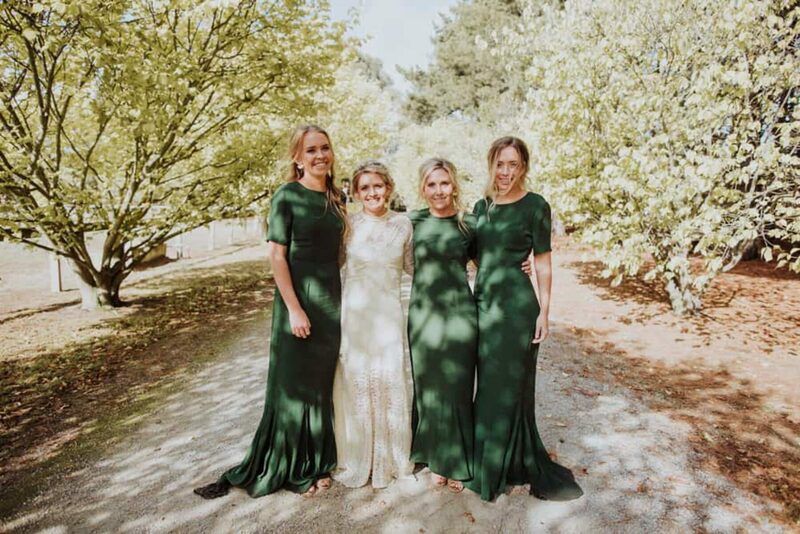 Slinky, olive green maxi dresses from ASOS were the perfect choice fof bridesmaid dress. 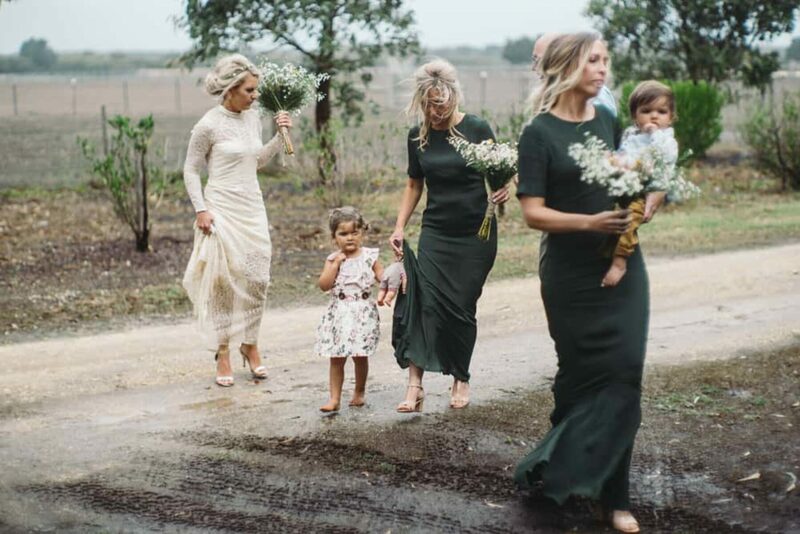 Kalo Hair and MUA Cheyenne Dandy had Alyce and her girls looking gorgeous. 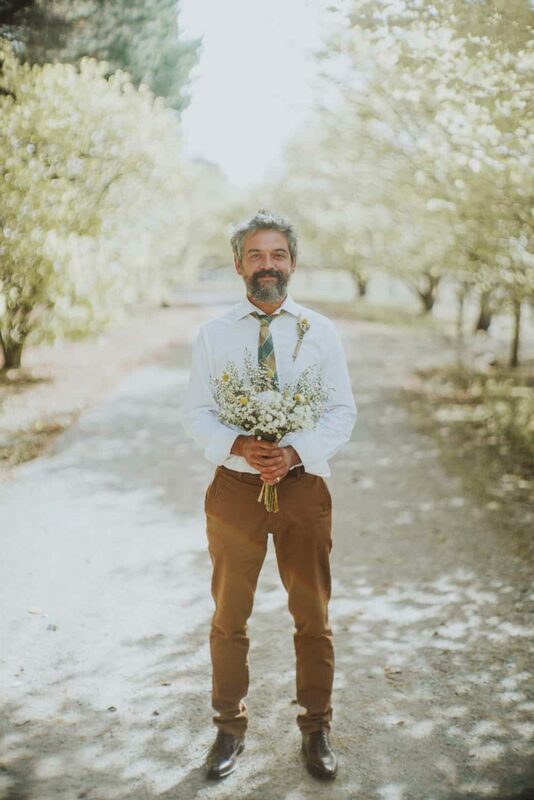 George played the relaxed groom perfectly, dressed head to toe in Oxford with a boutonniere (and bouquet) made by Alyce. 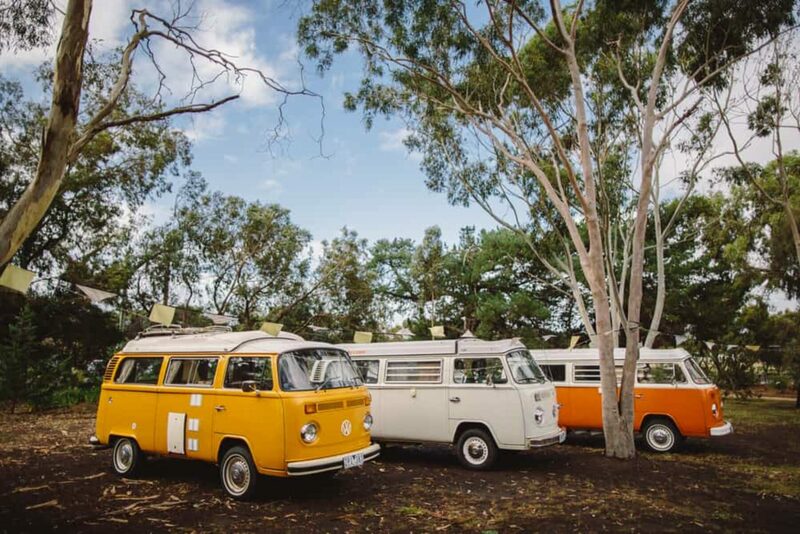 George and Alyce's colourful collection of vintage Kombis provided a great backdrop, and if any of these bad boys caught your eye, hit them up at Hire a Kombi! 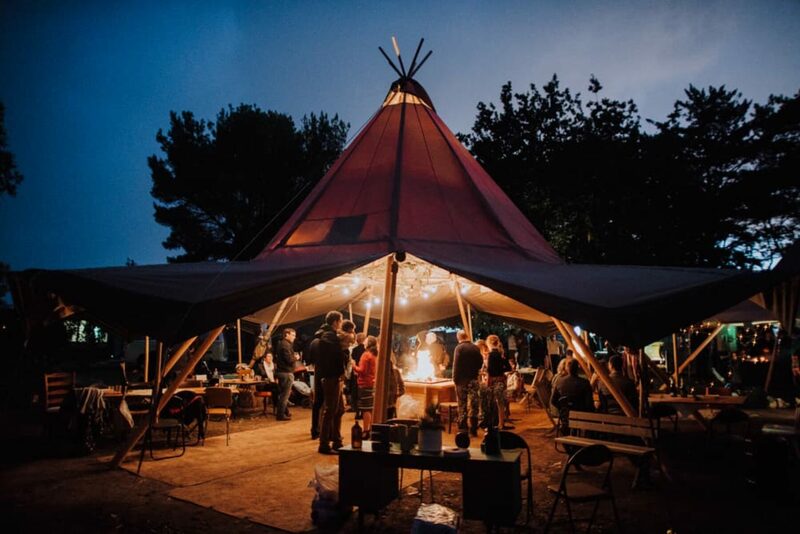 A Nordic tipi from Tipi Tipi provided some much-needed shelter from the persistent rain, and doesn't it look so cozy! 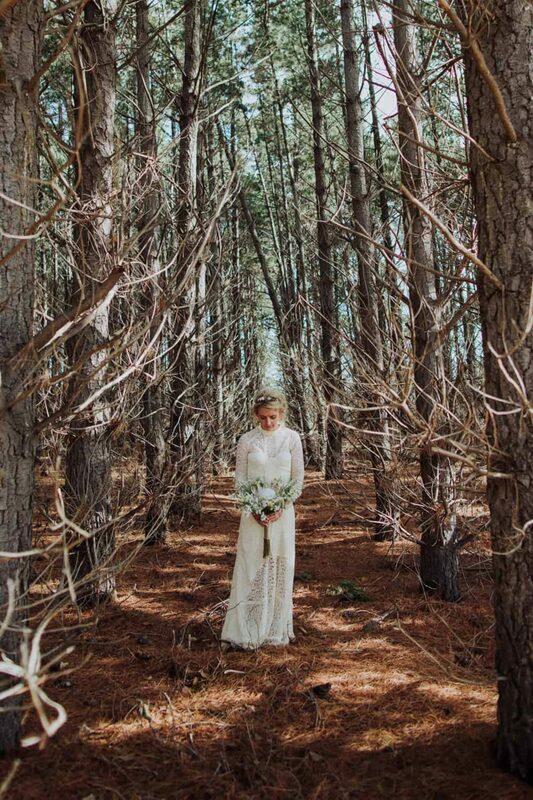 So stoked to see this post, my first feature in Australia!!! 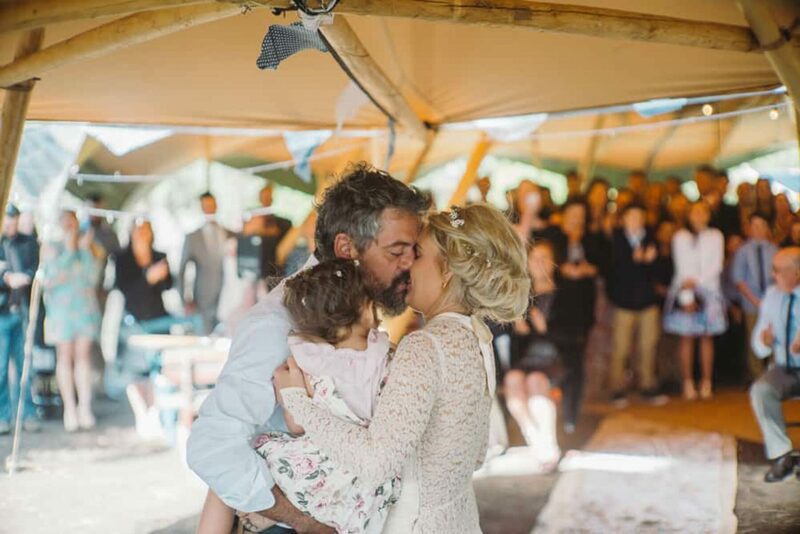 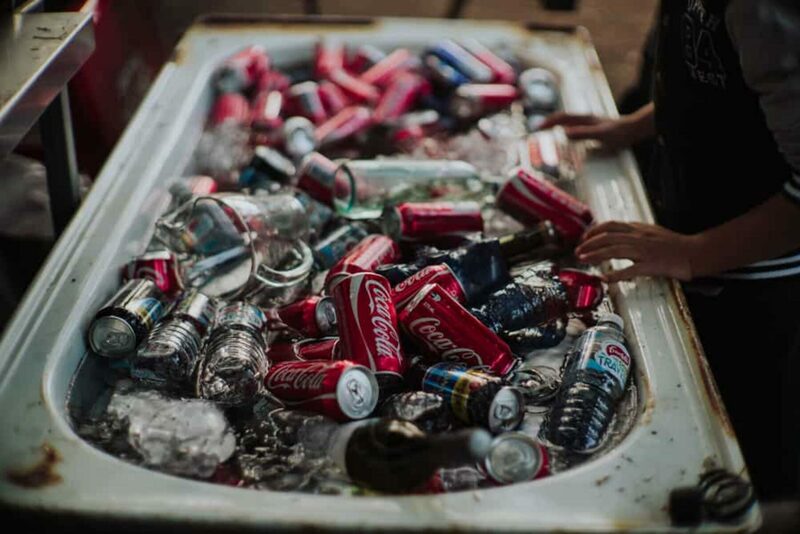 Thanks Nouba to select Alyce & George wedding <3 I really appreciate! 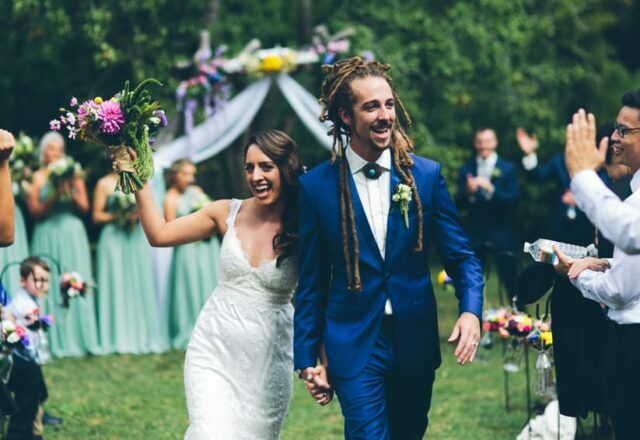 What a great looking wedding!